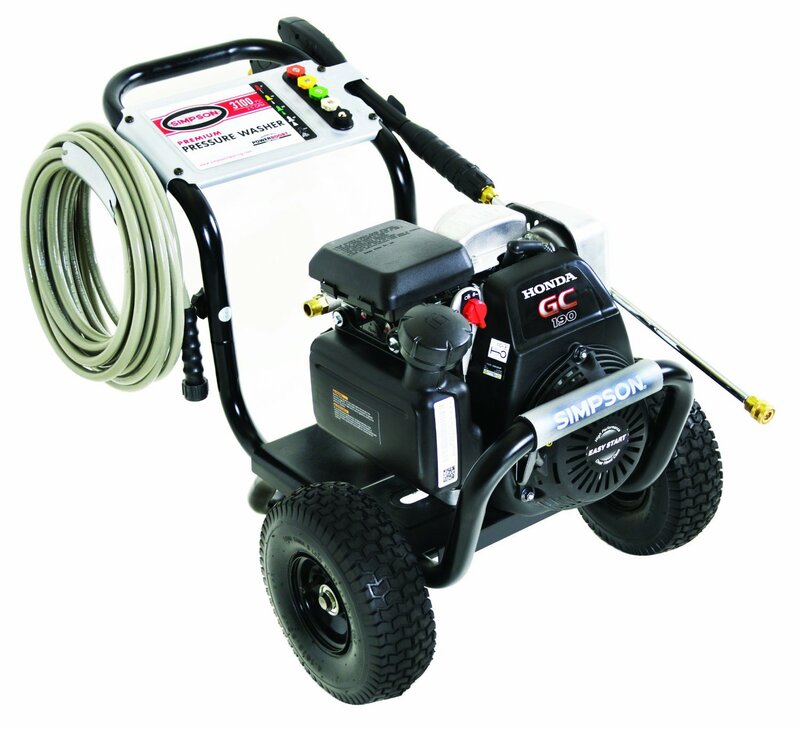 There are dozens of varieties of pressure washers on the market. Hell, maybe even hundreds. I had no idea just how many there were until I began searching online to find the perfect one. Of all the different types available, heavy-duty pressure washers are the most powerful you can buy. These are meant for the big jobs. If you’re trying to clean your antique furniture, steer clear. But if you’re looking to make easy work of that 30-year buildup of moss and scum on your back deck, look no further. They make tough cleaning jobs simple, and I have to admit…they’re pretty damn fun to use! Heavy-duty models start at around $300 (with some versions costing up to $6,000!) As long as you’re not trying to invest in a pressure-washing career, a basic but quality heavy-duty washer should cost you less than $500. What jobs are heavy duty pressure washers good for? 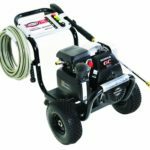 What are the problems with heavy duty pressure washers? The force of the water could easily damage the item you’re trying to clean, like the paint on your sports car, or the detailing on that patio furniture your wife bought. Use with caution. Heavy duty pressure washers are bulky and heavy: industrial strength means industrial size. While almost all versions of these washers come on wheels, their size can still be substantial. Smaller individuals or people without adequate storage space might prefer the more compact light-duty pressure washers instead. 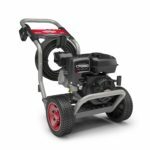 What are the best heavy duty pressure washers? The Rundown: When you’re looking for a good pressure washer, you want to take into account power and cost. This machine has the high power you’d expect from a heavy-duty washer without breaking the bank. What’s great about this washer is that it’s powered by a Honda engine, which makes this a reliable machine. It boasts impressive PSI and GPM (read: more power!) and comes in at just under $400 (at the time of this writing), make it one of the more affordable models out there. (Simpson also makes a higher power version of this washer, but it costs upwards of $550. For similar results, this model is a much better deal). Weighing in at 74 pounds means it’s a damn good thing it comes on wheels! The ten-inch frames make wheeling this washer around pretty hassle-free. The Rundown: You’ll pay marginally more for this one, but with the extra 50 bucks comes a higher PSI and GPM, and it weighs almost 7 lbs less due to its more compact size. What I love about this machine is that it boasts the same features as the Simpson washer, but in a smaller package with more power. The hose on this washer is 5 feet longer than the Simpson, making it easier to clean large areas without hassle. While not as renowned as the Honda engine, the Briggs & Stratton OHV engine is 208 CC and can effortlessly fuel the 3200 PSI stream. Overall, this washer is slightly easier to manage than the Simpson, and even more powerful. Definitely a good buy. A sturdy and reliable heavy-duty pressure that will meet all your high powered cleaning needs. Affordable and durable, this machine is the best value. 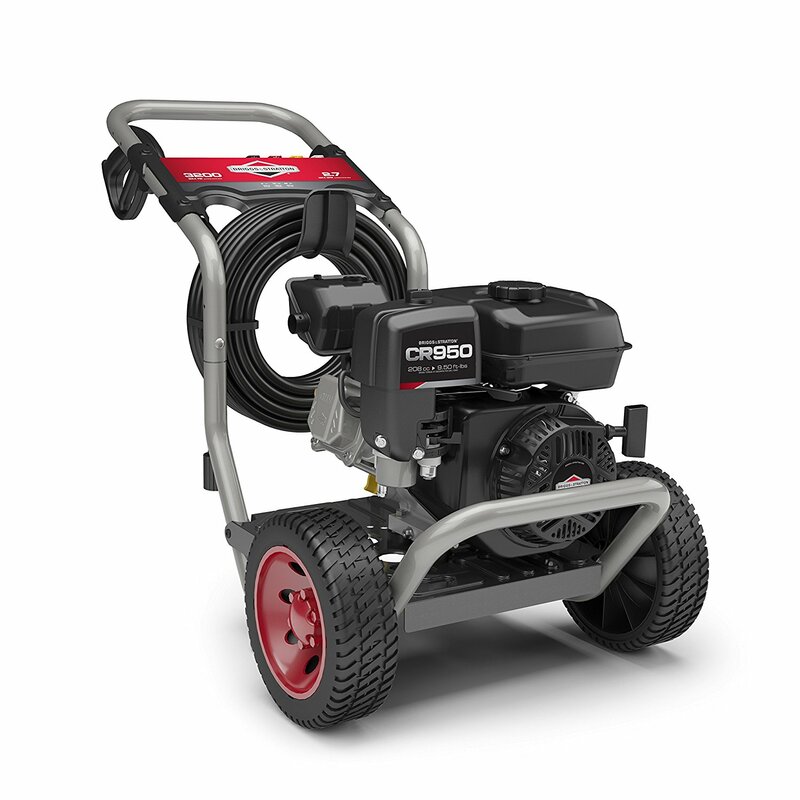 A lighter and more powerful model, this heavy-duty pressure washer is worth the extra cost.